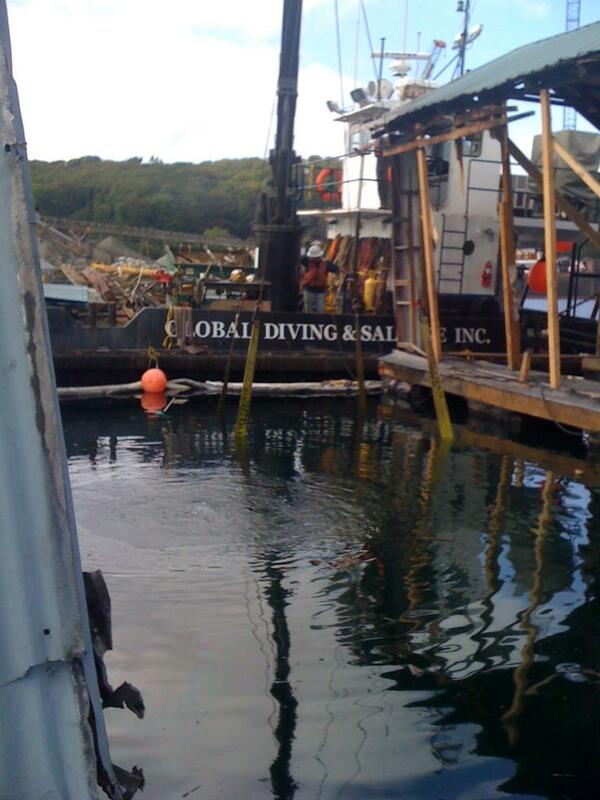 Boat Explosion Response - Global Diving & Salvage, Inc. Global mobilized a rapid response team to the Jim Clark Marina after an explosion on one of the resident boats in the early hours of August 24th, 2010. The explosion caused the complete destruction of the marina’s boat house and damaged three other boat houses; an adjoining boat and boat house also caught on fire. Global’s initial response consisted of surveying the damage and deploying boom to prevent any debris or contamination from leaving the accident site. After the initial response, Global crews remained on scene to remove floating debris and contamination that was collected by the boom deployed after the initial explosion. Global’s vessel, the Prudhoe Bay, was mobilized and used as a work platform for crews to salvage the remaining remnants from the sunken boat using the Prudhoe Bay’s crane and lift bags. The dive teams also helped recover items and evidence used by law enforcement in the following accident investigation. After the final clean-up commenced, the hull remains of the boat and all debris were stored at a Global facility for further 3rd party investigation into the cause of explosion. The crews also completed the demolition of the damaged adjoining boat houses.